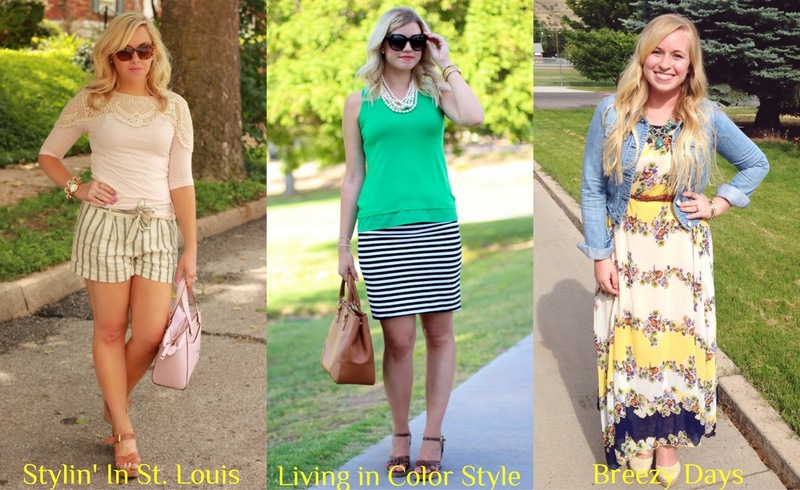 I'm so excited to be co-hosting this link-up with my blogger friend Elle from Living in Color Style and Jacqueline from Stylin' in St. Louis! They're a couple of gorgeous style bloggers, so make sure to stop by their blogs and say hello! If you've been around here a while you know I'm ALL about wedges, so I'm super stoked to be showing off one of my favorite pairs with this flowy & floral Sheinside maxi dress!